Ms. 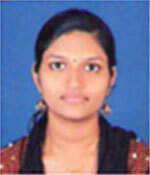 Shine Job Vakayil holds her B.Tech in Civil Engineering from Mar Athanasius College of Engineering, Kothamangalam and M.E from RVS college, Anna University with specialization in Structural Engineering. She has 15 years of industrial experience. 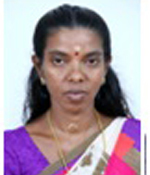 She has been working as Assistant Professor in the Department of Civil Engineering since 2012. She has handled subjects such as Structural Analysis, Building Technology & management, Transportation Engineering, Basic Civil Engineering. 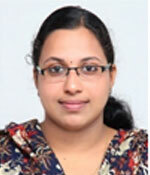 Ms. Sumi Eldhose holds her B.Tech in Civil Engineering from Mar Athanasius College of Engineering, Kothamangalam and M.E from Anna University with specialization in Structural Engineering. 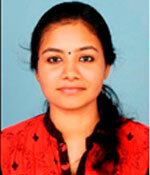 She has been working as Assistant Professor in the Department of Civil Engineering since 2012. She has handled subjects such as Engineering Mechanics, Structural Engineering, Design of Concrete Structures, Advanced Structural Engineering, Fluid Mechanics, Open Channel Flow and Hydraulics Machines, and Mechanics of Solids. Ms. Felma George holds her M.Tech from College of Engineering, Trivandrum with specialisation in Environmental Engineering and B.Tech in Civil Engineering from Kerala University. 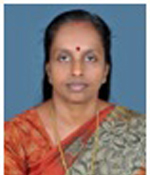 She has been working as Assistant Professor in the Department of Civil Engineering since 2013. She has handled subjects such as Basic Civil Engineering, Sustainable Engineering, Concrete Technology, Geotechnical Engineering, Fluid Mechanics, Open Channel Flow and Hydraulics Machines, Design of Hydraulic Structures and Environmental Engineering. She has attended numerous seminars, workshops and conferences in the field of Environmental Engineering. She is currently the staff coordinator of the SNGIST Alumni Association SEA. 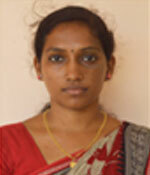 Ms. Arya K. Venu holds her B. Tech in Civil Engineering from Ilahia College of Engineering and Technology, Muvattupuzha and M. Tech in Environmental Engineering from Government Engineering College, Thrissur. She has been working as Assistant Professor in the Department of Civil Engineering in SNGIST since 2014, after a 2 years’ teaching experience. 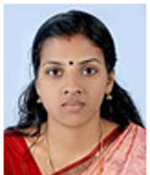 She has attended several international and national level conferences conducted at Government Engineering College, Thrissur. She has handled subjects such as Environmental Engineering, Environmental Pollution Control0 Techniques, Environmental Impact Analysis, Water Resources Engineering, Surveying, Basic Civil Engineering, Transportation Engineering and Traffic Engineering and Management. 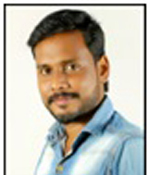 M Tech in Computer Aided Structural Engg. 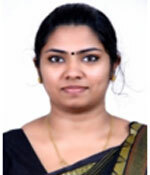 Ms. Anitha Raj holds her M.Tech from Cochin University of Science and Technology, with specialization in Ocean Technology and B.Tech in Civil Engineering from Kerala University. She has joined as Assistant Professor in the Department of Civil Engineering in 2017, after a teaching experience of two years. She has handled subjects such as Fluid Mechanics, Geo-technical Engineering, Transportation Engineering, Building Technology and Management, Design of hydraulic structures, Environmental pollution control techniques, Water resources engineering. 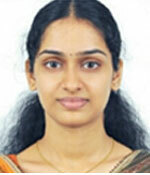 She has attended several national and international seminars and conferences conducted by various engineering colleges. Ms. Aarlin K. mathew holds her B. 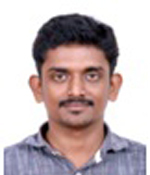 Tech in Civil Engineering from MBITS, Nellimattom and M. Tech in Computer Aided Structural Engineering from MBITS, Nellimattom. She has joined as Assistant Professor in the Department of Civil Engineering in 2017, after a teaching experience of one and a half years. She has handled subjects such as Mechanics of solids, Structural Engineering, Design of Concrete Structures, Advanced Structural Engineering, Basic Civil Engineering , Highway and airfield and Finite Element Analysis. 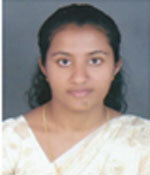 She has attended several national and international seminars and conferences conducted by various engineering colleges. 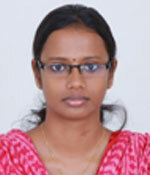 Ms. Sree Rekha S holds her B.Tech in Civil Engineering from SNGCE, Kadayiruppu and M-Tech in Construction Engineering and Management from Toc-H Institute of Science and technology, Arakkunnam. She has joined as Assistant Professor in the Department of Civil Engineering in 2017, after a teaching experience of one and a half years. She has handled subjects such as Surveying, Construction Engineering and Management, Architecture and Town Planning, Engineering Geology, Geo-technical Engineering and Transportation Engineering. 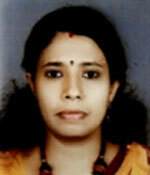 She has attended several national and international seminars and conferences conducted by various engineering colleges. 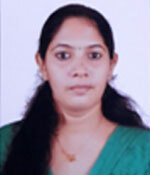 She has also published various papers in reputed journals.